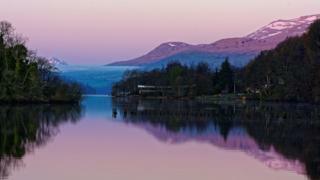 Image caption A "serene" Loch Tay taken by Graham Thompson from East Kilbride. 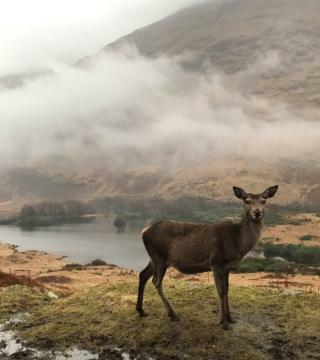 Image caption Craig Wilson, from Alloa, found an inquisitive friend while on a drive to Glen Etive and Glenfinnan. 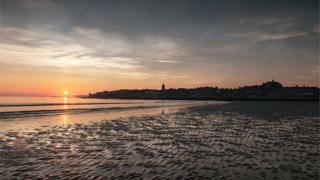 Image caption With the sun rising over the West Sands in St Andrews, Chris Reekie says it almost felt as if spring was on its way. 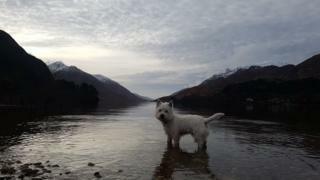 Image caption Stevie Blair, from Scone, with his dog Walter seen here enjoying a dip in Loch Sheil, Glennfinan, on his first birthday. 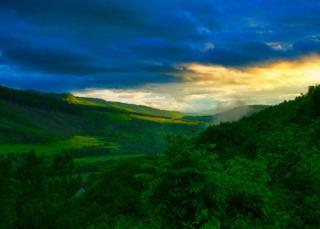 Image caption Jayne Dailly, from Edinburgh, was taken by this "spectacular" sunrise on a trip to the Highlands. 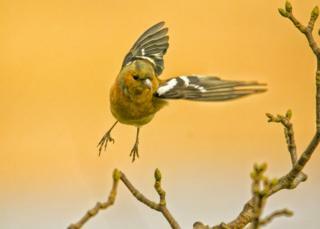 Image caption Robert Blaikie snapped this chaffinch in flight at the RSPB Lochwinnoch Nature Reserve. 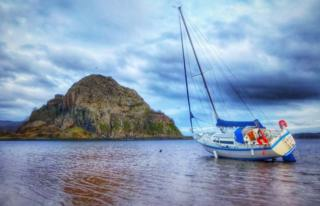 Image caption Harry Woodliff spotted a beached boat down the Clyde in front of Dumbarton Rock. 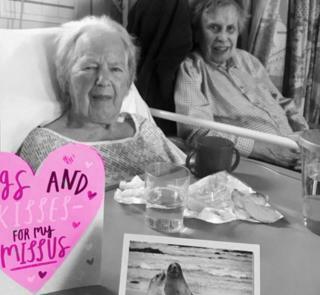 Image caption Frances Trainer took this picture of her mother Ruth Ward getting a Valentine's Day visit at Aberdeen Royal Infirmary from her husband. 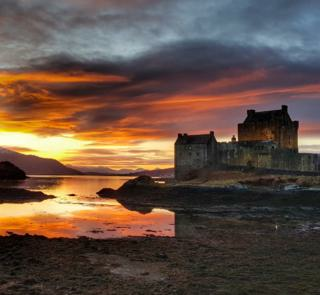 Image caption Eilean Donan Castle, as witnessed by Glenn Robert. 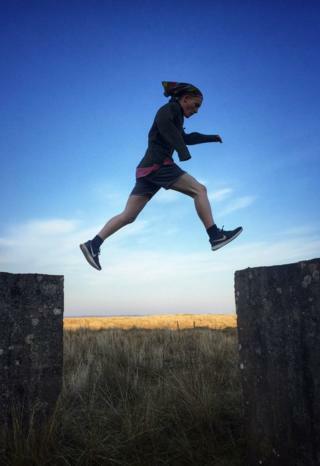 Image caption Helen Bishop, from St Monans, grabbed this pic of Toby jumping the Dragon's Teeth (the old World War Two beach defences) at Tentsmuir nature reserve near Tayport in Fife. 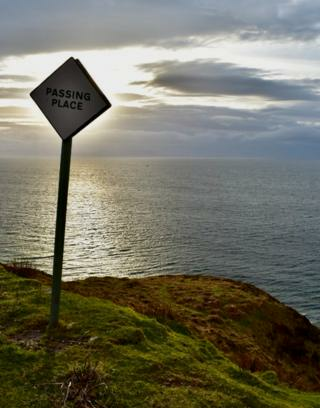 Image caption "Passing places - but where to?" thought David Griffiths at Gairloch. Image caption David Wain was captivated by this view across a valley near Loch Ness, which he spotted while on holiday from Stockport. 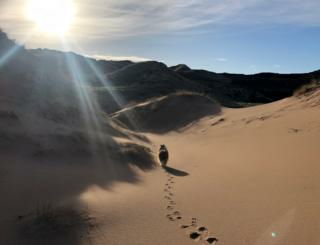 Image caption Sheltie at Red Point, near Gairloch, taken by Dougie Law. 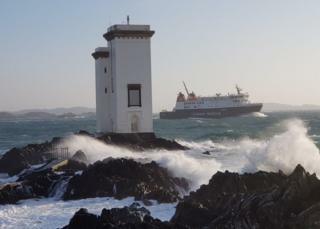 Image caption Lynne McCulloch, from Stirling, says this was "a beautiful sunny but choppy sea day for the Islay ferry." The ferry was passing by Port Ellen lighthouse at Kilnaughton Bay. 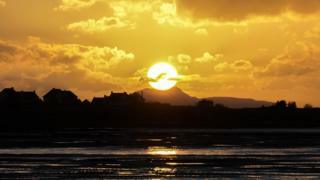 Image caption Frank Urban, from Cumbernauld, was returning from a walk at Aberlady Nature Reserve when he saw this. "The setting sun taking a rest at Arthur's Seat," he said. Image caption Genny Guy, from Tarbert, said: "An uphill trek is rewarded with stunning views over the Cromarty Firth. 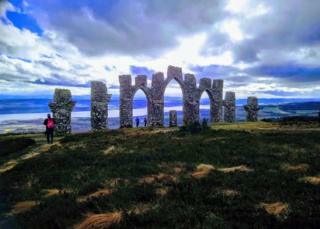 Fyrish monument is stunning whatever the weather." 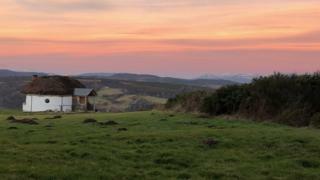 Image caption Johanna Gericke was being watched at Ballimore Farm in Argyll. 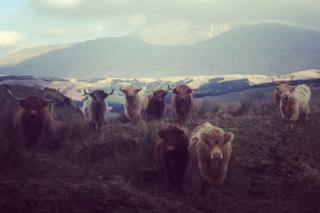 She said: "Our cows followed us when we went for a walk, but they all stopped in their tracks when we turned around." 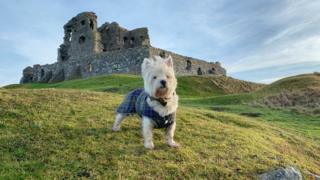 Image caption Alex Grant, from Edinburgh, says Casper the Wee White Dug found it a tad windy at Auchindoun Castle. 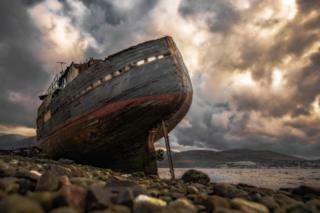 Image caption The Corpach ship wreck near Fort William, taken by Donny. 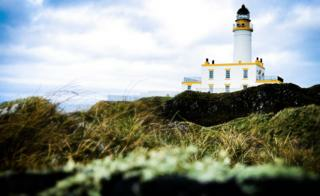 Image caption A golf ball's view of Turnberry lighthouse, as captured by Anders Brown. 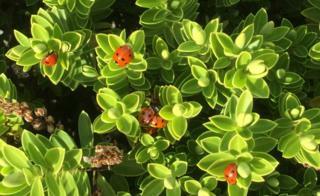 Image caption George Murray, from Westhill, in Aberdeenshire, says: "I’ve never seen so many ladybirds at this time of year before, thanks to the Gulf Stream." 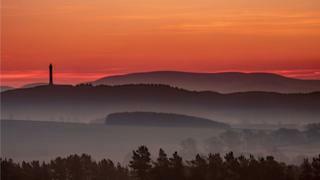 Image caption Curtis Welsh, from Melrose, captured this pre-dawn image of Peniel Heugh monument by Ancrum, along with Jedburgh and the surrounding hills. 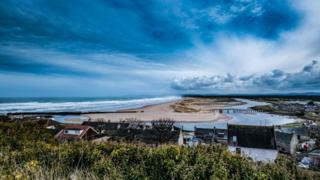 Image caption Tom McPherson, from Hopeman, witnessed the sun breaking through at Lossiemouth on the Moray coast. 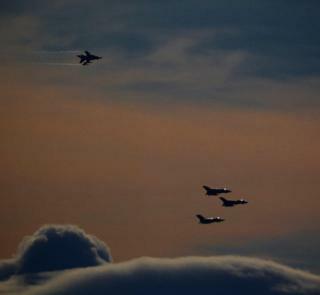 Image caption The farewell flypast by RAF Tornados passing over RAF Tain. Paul Turner said: "Sad to see them go, saw my first Tornado jet as a kid at the Leuchars Airshow in 1987."